Tasmania's Three Capes Track is a three-night, four-day celebration of one of the country's most beautiful walking experiences. Designed for beginner to intermediate hikers of all ages, the Three Capes Track has been built to a dry-boot standard and includes cabins along the way for each night, minimising your gear and leaving you free to focus on admiring 48 kilometres of breathtaking cliffs, forests, coastal heath and of course, the ever-present Tasman sea. The official Three Capes Track packing list has been designed to weigh no more than 12kg (including 2 litres of water) if you pick lightweight options. Being close to the sea, the Track experiences a range of weather, from sunny calm days to strong winds, rain and sea fog: be sure to pack everything on the list to be prepared. Backpack with approximately 50L capacity. One of our most popular choices is the ultralight Osprey Exos 48 and its female counterpart, the Osprey Eja 48, which comes with improved suspension and hipbelt fit for women. The Exos/Eja packs have removable sleeping pad straps to further lighten the load, since the Track cabins include mattresses. For more packs with a 41-60L capacity, have a look at our selection here. Backpack liner or cover to keep everything dry. If you go with an Osprey pack, the medium-sized Osprey Ultralight Raincover packs down into its own stuff sack until you need it. We also carry other Pack Accessories. Day pack. On Day 3, you can leave your main backpack at the cabin and walk out to The Blade at Cape Pillar before turning back to pick up your things for the next leg. Take something that's lightweight and can pack down to fist-size, like the Sea to Summit Ultra-Sil Day Pack or the Osprey Ultralight Stuff Pack. Personal identification - licence or passport. Concession card - Seniors, Health Care, or Pension. If you applied for a concessional fee, you must present your concession card at the Port Arthur Historic Site when checking in for your pass, which you must show on request during the track. For narrow feet, the Salomon Quest Prime GTX. Weighing in at just 570g, this boot provides extra stability and comfort with its high-cut top, full cushioning, and Gore-Tex waterproofing. For standard width feet, the Scarpa Delta. This durable full-grain leather boot is a worthwhile investment that will keep you looking sleek for dozens of hikes to come. 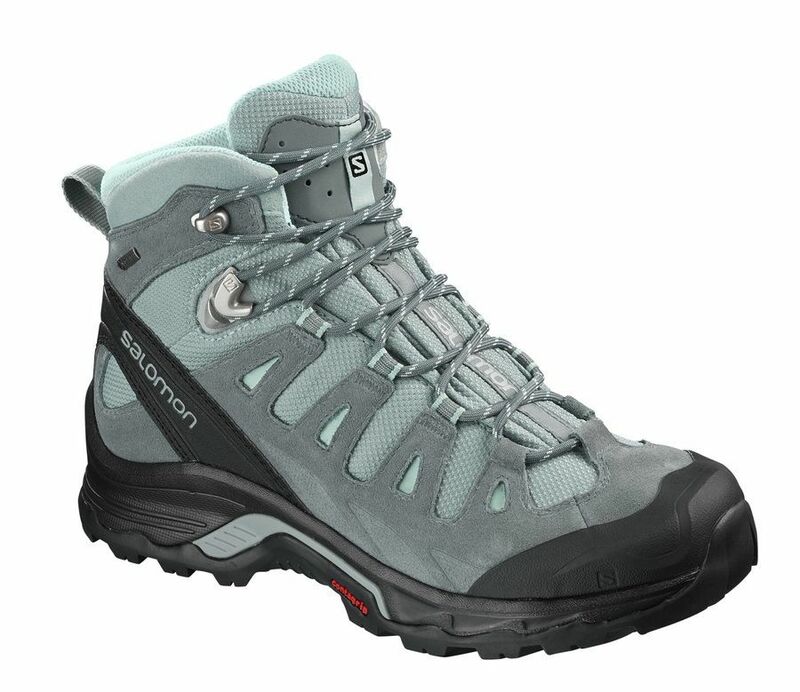 For wide feet, the waterproof Keen Gypsum II, which comes in both low and medium tops. The Gypsum's standout features include a removable EVA footbed for arch support and Cleansport NXT technology for natural odour control. Sleeping bag rated to -5°C. The Sea to Summit Trek II sleeping bag is a great entry-level hiking sleeping bag that can even be opened out into a duvet for warmer nights. It can be hard for beginners to choose a sleeping bag - what's a relaxed mummy fit? What's an EN13537 rating? - so if you're browsing through our Sleeping Bag selection and having trouble picking, check out our article on how to choose sleeping bags. Sleeping bag liner. A liner will keep you warmer and your bag cleaner. Sea to Summit's 100% Cotton Travel Liner is a good economical option, but if you're a cold sleeper and want some more insulation against the cold Tassie nights, spring for a silk or Thermolite liner like a Thermolite Reactor Compact Plus Liner. Handheld or head torch. Headlamps have the great advantage of leaving your hands free to grab handholds, snack on the go, and take pictures of your dream hiking trip. Remember to bring spare batteries, or bring a rechargeable headlamp like the Ledlenser NEO6 Headlamp - the cabins feature USB chargers, though if you were planning on bringing a phone, note that coverage can be limited. First aid kit. Three Capes Track recommends carrying the following: bandaids, blister packs, Elastoplast, gauze patches, compression bandage, triangular bandage, scissors, tweezers, and medications like antihistamine, anti-inflammatory meds, antiseptic cream, and paracetemol. At less than 150g, the Adventure Medical Ultralight .5 Series First Aid Kit contains all of this, with extra room for your personal medication. Hooded rain jacket - waterproof, windproof, breathable. 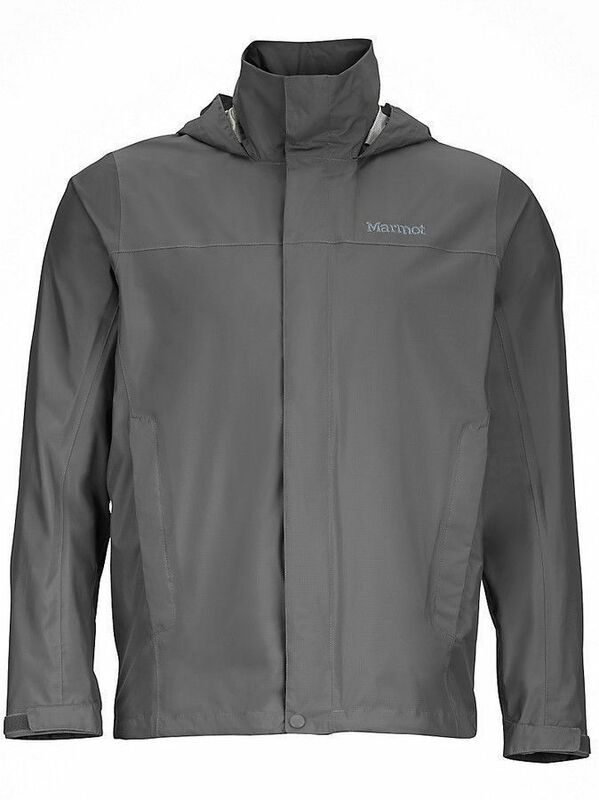 The Marmot Precip jacket stuffs into its own pocket and weighs less than 150g. It's highly versatile with waterproofed pocket zips, a chin guard, and a hood that can roll into the collar. A great rain jacket and windbreaker for both urban and backcountry trips, it's a good long-term investment for protection against the elements. Overpants - waterproof, windproof, breathable. Rain jackets only offer half the protection you need. Ultimate Direction's Ultra V2 pants weigh just 100g and also pack into an internal pocket, while calf zips make for quick and easy on-and-off over your shoes. Light jacket - fleece/woollen/merino. With maximum day time temperatures of 16-19°C degrees in summer and 10-12°C in winter, and the Tassie coast's ever-changing weather, you'll want to pack layers you can add or remove as you need. Fleece and merino are great lightweight materials that provide warmth; wool may be troublesome to dry, but that's what a good rain jacket is for. Walking trousers/shorts and shirt. Opt for a quick-dry fabric like cotton, and avoid the denim jeans! Long-sleeve thermals - merino/polyprop. We recommend XTM's Polypro Thermal Unisex Top and Pants for thermals that won't break the bank, but check our Thermals section for more choices. Socks. With such variety on the market, it can be hard to pick out the perfect companion for your hiking shoes. Our favourite trail socks are Injinji Trail 2.0 Mid Weight Crew Toesocks, eliminating friction between the toes to reduce the risk of blisters. But if toe socks aren't your thing, we have plenty other options in our Trek & Trail Socks section - like the incredible ANTU Bamboo Waterproof Socks! Underwear. There's a bush shower at Munro cabin on the second night, but be kind to your fellow hikers and remember a few spare changes of undies for good hygiene! Beanie. Buff's lightweight merino tubular headwear lets you wear it as not just a beanie, but also as a scarf, headband, balaclava and more. Gloves. XTM's Merino Unisex Gloves will act as a thermo-regulator, keeping you cool in summer and warm in winter even when wet. Sun hat. Maybe you want to keep it light and cool with a cap like the 2XU Run Hat, or maybe you want optimal sun protection with a Sunday Afternoons Adventure Hat. Whatever your style, you'll find what you need in our Hats section. Sunglasses. We carry a huge range of sunglasses which you can browse in our Eyewear section. Some come with interchangeable lenses, like the Sunwise Windrush Sports Sunglasses. Others, like the Sunwise Montreal MK Prescription glasses, let you clip your prescription lenses behind the sunglass lens. Warm evening jacket, shirt, pants. In winter, it can hit lows of 5°C at night, and you'll probably be spending time in the kitchen and the cabins' common rooms before you cocoon in your sleeping bag for the night. Bring a change of clean, warm clothes for relaxing in after a day's walk. Lightweight footwear - thongs/sandals/crocs. The Xero Z-Trail Sandals are so light and flexible you can literally roll them up to stash in your pack, giving you something to wear around the cabin. They dry out quickly and are easy to clean if you want something to wear into the bush shower. Travel towel - light, quick-dry. A large Sea to Summit Pocket Towel will satisfy all your drying needs at just 112g; hang it out to dry overnight, or even wring it out and reuse on the spot. Sunscreen. Premax Sports Sunscreen comes in 50mL and 200mL. Toilet paper and trowel. You might find yourself in need of some trackside toileting. Alongside a Sea to Summit Pocket Trowel, consider bringing some biodegradable toilet paper to help respect the beautiful national park. Another option is the Shewee Survival Kit, which includes a handy urination device for women as well as Peebols, pocket-sized loos that convert liquid waste into biodegradable gel. 2L capacity water bottle/bladder. 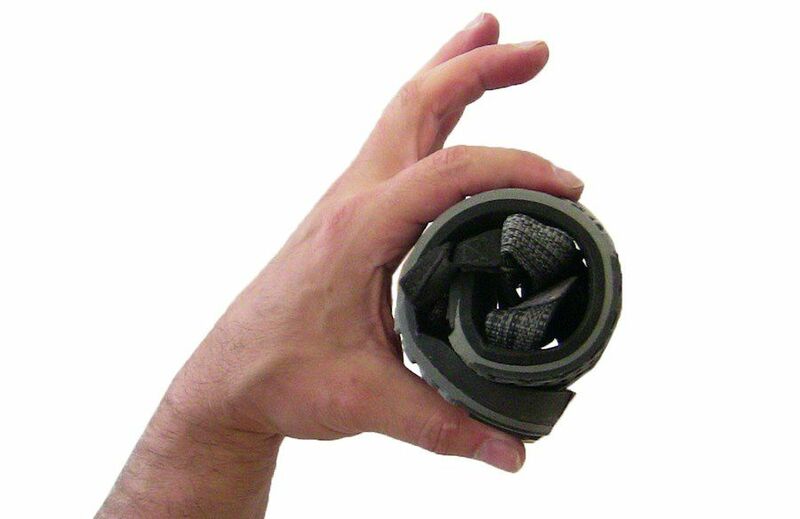 Soft flasks, reservoirs, or bladders are all interchangeable names for water holders without a rigid shape, and hold the advantage of being able to pack away compactly when empty. We recommend an Osprey Hydraulics 2L Reservoir or an UltrAspire 2L Hydration Bladder, but you'll be spoilt for choice in our Trekking Hydration section. Lightweight crockery and cutlery. The cabins' kitchens come stocked with gas cooktops and basic cookware, but you'll need to provide your own of the following: knives, forks, spoons, cup, plate and bowl. If you're hiking as a family, it's well worth getting something like Sea to Summit's Deltalight 4 Person Camp Set with some Alpha Light Cutlery 3-Piece Sets. Don't forget a mug for a rejuvenating hot drink, like the collapsible Sea to Summit X-Mug. Pocket knife. It's common wisdom to keep a knife or multitool handy on hikes for any equipment mishaps or worst-case-scenario survival needs. Wildfire carries the world-famous Swiss Army knife produced by Victorinox; the classic version comes with seven tools, including a small blade, scissors, and tweezers. But we also carry a wide range of multitools, the most complex having 33 functions! Probably unnecessary for an easy-going hike, but oh so fascinating to look at. Meals - 3 breakfasts, 4 lunches, 3 dinners. Some people might go on 'foodie vacations', but just because you chose a gorgeous wilderness hike instead doesn't mean you have to compromise on the quality of your meals. Our Trekking Food section is supplied by brands Back Country Cuisine and Outdoor Gourmet, which provide freeze-dried meals that can be reheated and rehydrated in just ten minutes. In particular, Back Country Cuisine's ration packs like the Outback Ration Pack represent one full day's meals, keeping meal planning simple. Just be sure to read product names carefully and select the right portions, or you'll find yourself staring down five serves of classic beef curry all by yourself, and no fridge in sight! Hot drinks. Don't forget your sachets of your favourite tea, coffee, hot chocolate, or instant soup - a warm drink is just what you need after a long day's hike. Snacks. Some hikers' favourites include dried fruit, nuts, muesli bars, and chocolate. A good hiking snack isn't just something to munch on, it's something to keep your energy levels up throughout the day. To that end, try a Clif Energy Bar or an Ems Bar - tasty and nutritionally engineered for eating and digesting on the run (or on the walk). Tea towel. For washing up after your meals, bring a tea towel from home - or if you'd rather have something that packs down light, drys fast, and has antibacterial treatment to stay fresher for longer, grab a Sea To Summit Drylite Towel Antibac X-Small. Rubbish bags. If you're eating between rest stops, clean up after yourself and keep the environment pristine for all the other hikers to come! Mobile phone. Reception is limited on the tracks. Check the Three Capes Track FAQ and your service provider if you plan on using your phone for anything other than pictures. For insurance against the Tassie weather, keep your phone secure and dry with one of our phone cases. Camera - include spare batteries/power cord. There are charging outlets in each hut with USB sockets. Binoculars - the lucky hiker might catch glimpses of the Three Capes wildlife, including albatross, eagles, whales and seals! Swimwear/Bathers - beaches at the start and end of the walk offer a chance for a refreshing dip. Stash your wet things in a dry sack until you can dry them out at the cabins overnight. Dry bags - for spare clothes and sleeping bag. Wildfire Sports carries a range of different dry bags in all sizes. Thermos flask. Nothing like a hot drink to rejuvenate yourself while on the track. Hydration company Klean Kanteen has several stainless steel bottles to choose from, from small insulated tumblers to liter-large water bottles that can keep drinks hot for 20 hours at a time. Walking poles. Far from being the tool of the elderly or the frail, any experienced hiker will tell you the benefits of a good trekking pole. Read our article on how to choose trekking poles for more advice on how to choose the right pole for the right hike. Book/journal. In your downtime at night, or while appreciating the many story-seats along the way, jot down notes so you'll never forget the Three Capes Track experience.